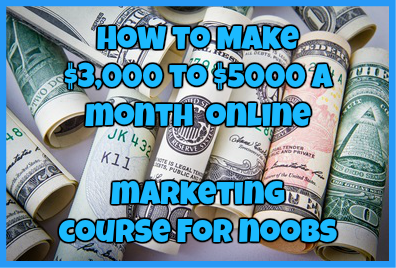 In today’s day and age, there are so many different ways to make real money online that the various options can become overwhelming to even the most experienced of people. 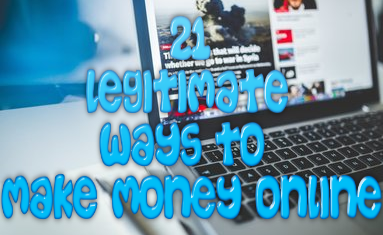 Finding which ways to make money online that are better than others can be a daunting task. Luckily for you, I am here to help. Today I want to talk about a system that many websites across the web use today to generate some money here and there and that is by using Google to their advantage. Before you learn how to make money online with Google AdSense, you first need to understand what Google AdSense actually is. Google AdSense is considered to be the largest platforms used to monetize a website or a blog and it is also considered to be one of the easiest and best ways to make money online today. Google AdSense is a reputable program that pays you simply by placing ads onto your site and getting paid every time someone clicks on the ad. These are the types of ads that you can place onto your site or blog. The amount of visitors going to your site or blog. The content in your website or blog. Any questionable backlinks linked to your site or blog. There are various pros and cons to using Google AdSense to earn a little cash here and there. Let’s go through just a few of them. Back in the day the main worry for many website creators was what the cost would be to run their sites in the first place. The arrival of Google AdSense squashed this worry by giving website creators the opportunity to make their website make money for them. Now all that website creators have to worry about is writing their content and let their Google AdSense campaigns make money for them. Instead of worry about the costs of running a website and getting visitors to come to their site, Google AdSense allows web users to concentrate on creating quality content for their site or blog. With quality content web users no longer have to worry about sifting through endless garbage to find the answers to their solutions. The moment a website creator creates a high quality piece of content and attaches an ad to their content, this content can generate income for them for many years to come. All that they have to do is update their content every couple of months and the money will still continue to come in. I can’t tell you how many stories I have heard of a web master waking up and suddenly finding out that their Google AdSense was suddenly closed and there went their main source of income. Google reserves the right to close any account at any time at their discretion. To avoid this from happening just adhere to their policies strictly and never do anything questionable. Also make sure that you do not commit click fraud on your ads as this tends to be one of the main causes of account closures today. This particular con may only apply to content rich sites such as this one. If by chance Google changes its ranking algorithms, one thing that you may notice immediately is that your traffic will suddenly decrease and so will your earnings. While Google AdSense can be for anybody looking to earn some extra money here and there, I only recommend that those who own a couple of sites or blogs to utilize it to monetize them. In order to use Google AdSense correctly and generate some money from it, there are a few things that you will have to do in order to ensure success. Similar to how your content depends on keywords in order to get ranked, the same will apply for the ads that you have on your site. You will want to make sure that you target your keywords correctly in your content so you can influence Google to show ads on your site that are relevant to your content. If you target keywords with too high of a density, you can risk Google throwing you out of the AdSense program for good. There are a variety of ad types that you can place onto your website or blog. You will want to take special care in ensuring that the types of ads you display will only make your website look that much better. Regardless of how your website is doing or what you want to achieve with it in the long run, your primary focus will have to be on how successful your ads are on your site. You will need to continuously monitor your ads so you can see if the keywords you are choosing are even making you money. If you notice that your chosen keywords are not working for you, change them up! Since I personally use Google AdSense on all of my websites, I highly recommend it as a way to generate some income from home. If you have yet to monetize your website or blog, then you are losing a ton of money that you can be making. Just make sure that you apply for an AdSense ID and once you have it make sure that you do not do anything that will penalize you or your site from the program. Google AdSense is a must have for any website or blog owner and it is one of the best ways to make money online without even trying. Have you had any luck with making money online using Google AdSense? If so, I would love to hear from you. Just drop me a comment below! ← Lloyd K’s 70K Method Review: Will It Help You To Earn 70K? Nessa you have shared good information on google adsense. As you mentioned about google banning adsense account most these case happen when user or anybody attempt click fraud on his/her site. I have seen blogger they get frustrated about earnings. I suggest many blogger if you want to earn good money from google adsense then i suggest to improve your ranking using seo and use of online social media. Through this your website will gain popularity in search engine and your can earn good money from google adsense.